Click the link below to watch a short (less than 2 minutes) video to let you know more about the Travis Manion Foundation which is holding the contest <== Click here for information about the Character Does Matter Contest. You’ve probably been hearing us talk about it. It is sponsored by Johnson & Johnson and the deadline for contest Entry is December 15, 2017. The Travis Manion Foundation was built to honor a Fallen United States Marine who lived his life as an example as to why character does matter and how to use your character in positive ways. In his foot-steps the foundation continues his spirit and legacy by continuing to contribute to our communities just as Travis Manion had when he was alive. Thanks to this foundation, Travis can and will live on forever since others continue to be living examples just as he was. What a wonderful way to not only pay tribute to a PRIME example of an excellent Military Service Member, but to also share his tremendous kind soul with all of humanity. 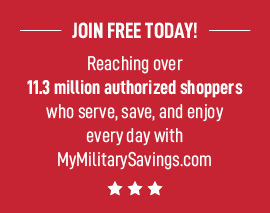 Save a dollar off of Tylenol Cold & Sinus by going to My Military Savings website <=== Click Here to get the coupon as well as to check out other sales and coupons on some of your favorite products from Johnson & Johnson brands that are available at your local Defense Agency Commissary aka Commissary for Military Service Member and their dependents with valid Military ID. It is that time of year as winter is approaching and it starts getting even colder outside that sniffles and other cold symptoms can start. So why not save some money by using coupons and the available sales at your local commissary when purchasing the products you and your family will need to get through cold and flu season.